Vacation rental house. Sleeps 6, 1 bedroom, 1.5 bathrooms. Dogs allowed. Cluster Cabin #16 is a quintessential cabin in the woods! 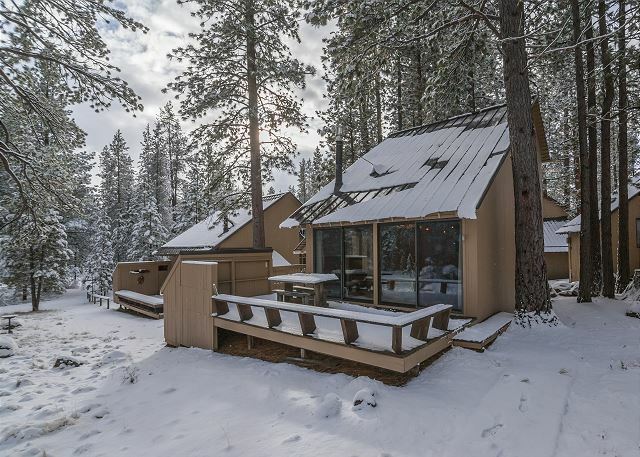 You will think you are isolated, but in truth you are close to everything Sunriver has to offer, not the least of which is inspiration, cozy, modern, and artsy. 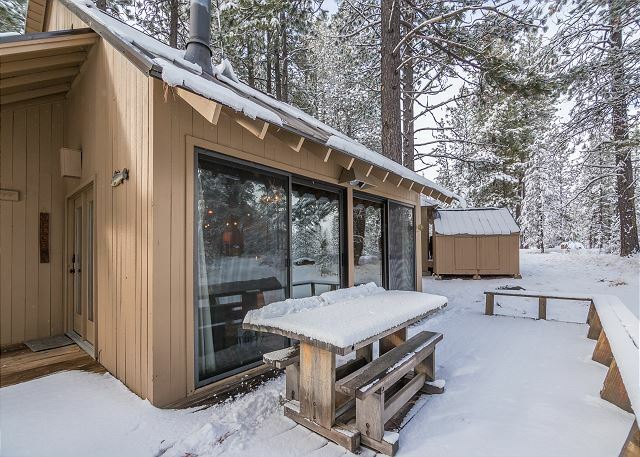 Owned by an author, this is the perfect place to write, reflect, create and maybe just be a kid partaking of all the fun activity in Sunriver. This can be a romantic cabin for two, a fun place for four or that creative setting for someone in need of a quiet place to write or paint or just sit and read. The cabin features one bedroom and a loft. The open floor plan invites you to the living room with a flat screen TV and sleeper sofa. The double sliding glass doors lead to the private deck that overlooks the bike paths. The fully stocked kitchen and dining area is covered with granite counter tops and stainless steel appliances. The bedroom on the main floor provides a double size bed and the loft area has a king bed with a bathroom. The loft area is more like a master suite! 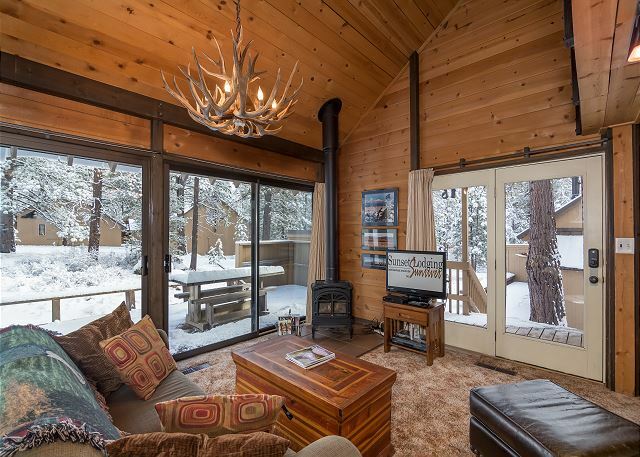 Cluster Cabin #16 is close to the Village Mall, Sunriver Lodge and the Deschutes River! Grab the bikes included in this cabin and get on the 30 miles of paved bike paths or walk your four legged family member! 1 King, 1 Double, HAB in living room, microwave, D/W, W/D, 2 TV's, CD/Radio, 2 bikes, 2 levels, gas fireplace, close to Village Mall, lodge, and the Deschutes River, on bike path. 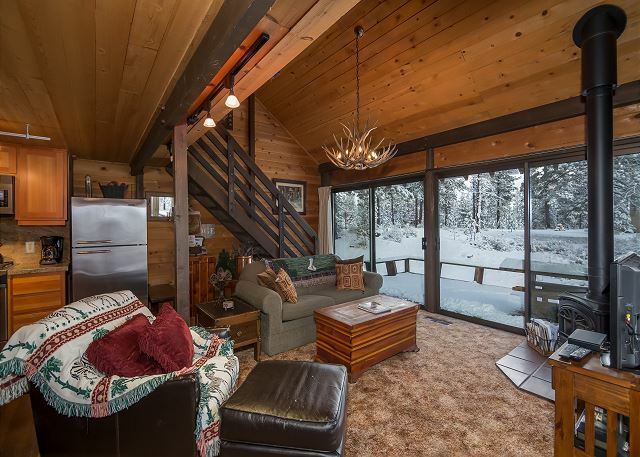 If you would like further information about this Sunriver vacation home or our Sunriver property management services please call 1-800-541-1756. Thanks for another wonderful stay at Sunriver. Your place never disappoints. Thank You for your review. Alice! So glad that you got in some rest and relaxation and had another wonderful stay! See you in Sunriver! Our vacation rental experience was extraordinary. We loved lodging in the forest. It brought back memories of our childhood when we used to roam the forest during summer and winter. It was an amazing experience, one we won't forget. Thank You for your review, Lee! Glad to hear that you had an extraordinary experience, and enjoyed the forest setting...Come back soon! The cabin was in a very close to bike trail, going to the Village and the business center. We would definitely stay in this area again. The exhaust fan in the upper bath did not work. Right front burner not working. Cord on left drape broken. Cabin was very clean. Thank You for your review, Steven! So glad you enjoyed the condo, the location and it's cleanliness! Please do not hesitate to give us a call if you see anything that needs repair while you are staying. We have staff on call who are happy to come out to address anything that needs attention! We hope to see you again! nice peaceful area.cabin well furnished. Thank You for your review! We are so happy to hear that you got a little peace and relaxation at Cluster Cabin #16! We hope you will visit again soon! 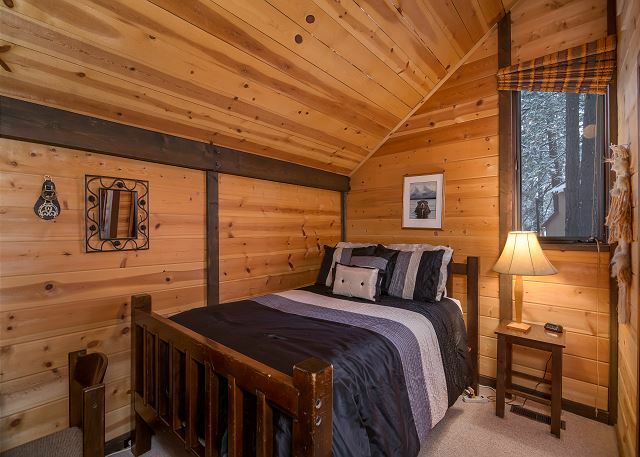 The cabin is very cozy, comfortable and inviting. Lots of updates to the kitchen and bathroom and personal welcome from the owners. The keyless entry is very convenient and the location is in a quiet area. Would definitely stay here again and recommend to others. Thanks so much for wonderful review Theresa! We are thrilled that you enjoyed your stay in Cluster Cabin 16 and hope you come visit us again soon. Thanks so much for the review Enie! We hope you visit us again in Sunriver soon! CCC #16 is near the bike path and was in a quiet location. We enjoyed the nice utilities at the cabin, including the washer/dryer, kitchen sink, microwave, and Kitchen Aid refrigerator. Everything worked good. Thanks again to the Sunset Lodging staff. A blown out light bulb was replaced within a few minutes and one night at 11pm we called the after hours telephone due to a small bat which had gotten into the house. Staff came with a net and removed it in about 20 minutes. That is why we like renting from Sunset Lodging! Thank you!!! Thomas, Thanks for the great review. We really appreciate it! We pride ourselves on service, and we are so thrilled you had a great stay! Great place for a small family. Kitchen is well equipped. Quiet and comfortable. We had a great time! We came to ski at Mt Bachelor and loved the whole experience. The drive was very easy and the location was great. Plenty of dining nearby and very Comfortable. The cabin was in teriffic condition and had absolutely everything we needed. The little subdivision it is in had great paths for walking as well. Would definitely come back. We had a great little weekend getaway in the snow. The property was beautiful and the cabin was cozy and perfect for our family of four. We loved it so much we plan to come back in the Summer. We feel the same, Dean!! 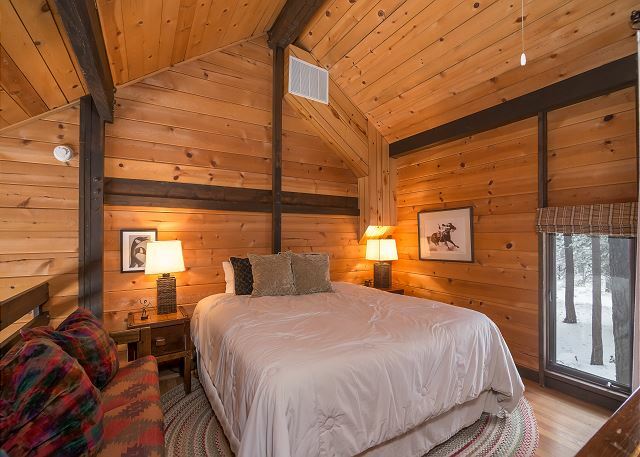 So glad you enjoyed this perfectly cozy cabin and we hope to see you again soon! We stayed 4 nights in this cozy, well appointed cabin. The kitchen was stocked with all the necessary cookware and appliances. The beds were comfy and the entire experience was wonderful! Thank you, Ken!! 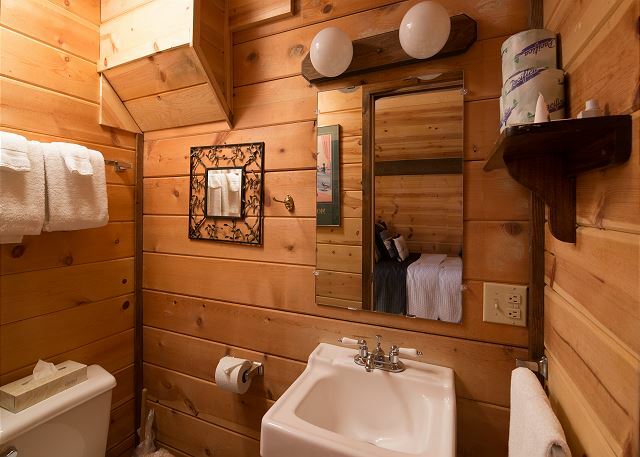 Cluster Cabin 16 is one of our most popular cabins and you've nailed it as far as why. The owners take great care to see that our guests are comfortable and have everything they need, whether it be in the height of the summer action or during the midwinter snow season. We hope to see you again soon! Our visit was great from start to finish. It was easy to book, the unit was as described, there was great ease in checking in and out. The property was well maintained and very clean. We just wish there were more lights for reading at night. We went hiking and biking and found the maps provided very useful! We definitely plan to be back. We're so glad to hear this, David! Cluster Cabin 16 is a crowd pleaser to be certain. We look forward to having you back soon! And when you come back, if you need anything at all (like extra reading lamps), just give us a call. We stock many extra items in our warehouse that we use to accommodate guests with these kinds of requests. They are easy to solve and make a big difference, so just let us know while you are here because we are here to help! Thanks again David, we hope to see you back to Cluster Cabin 16 soon! My wife and I needed to get away, so we picked this property. It was everything we wanted. Quiet, close to the walking/biking trails with cozy evenings to fix a nice dinner and watch old movies or the fireplace. 6 days felt like two weeks. We came home restored and rejuveinated. We'll definitely be back! Wow, Jerry! This is why we do what we do. 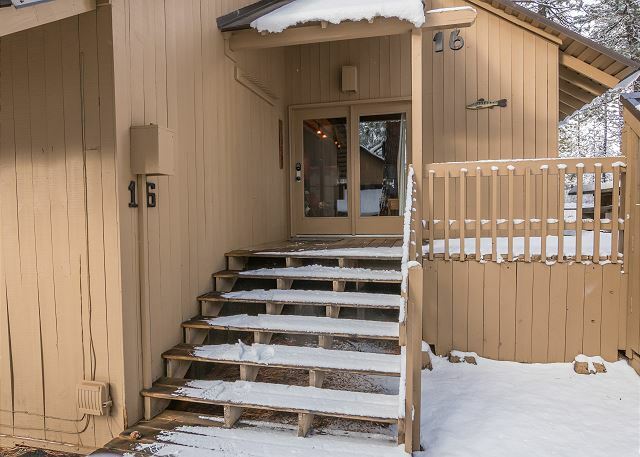 We are so glad to hear that Sunriver and Cluster Cabin 16 offered you the respite that you needed, and now you have a place to go to get away from it all while still being close to convenience. 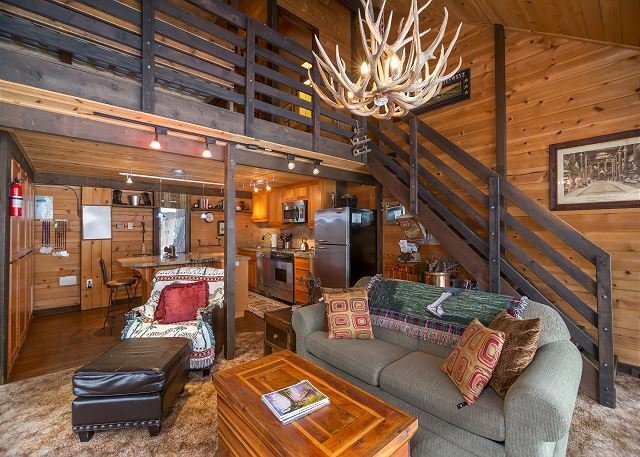 Cluster Cabin 16 is one of our most popular cabins and now you know why! We hope you can come back soon. A cozy cabin. Quiet location yet still a short walk to the Village Mall. Right on the bike path. Well furnished. The loft bedroom was nice. David, we were so glad to host you during our 'cozy cabin season'!! Fall seems to be the time when people want to help usher winter in the right way here in Sunriver. We hope you can get back soon. Enjoyed our 5 night stay in this cute, cozy and very well equipped cabin. Went cycling, hiking, swimming, stargazing. Appreciated that we could bring ouR dogs. Missing Sunriver after our 5th summer visit. 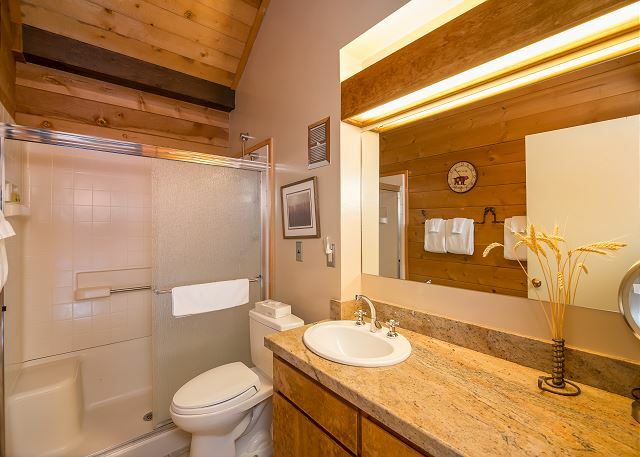 We love having the same cabin every year and knowing that it is ready for our visit with all the details (from laundry soap to beach towels) as well as being cozy and nicely furnished . We love the deck (we bring 2 umbrellas for the needed shade) and the privacy as the cabin is set a bit off the bike path. The Sunset Realty staff is helpful and responsive to questions and requests. We love Cluster Cabin 16 too, Kathleen! Our cabins have a great following, many with the same sentiment as yours!! Thank you SO much for being valued Sunset Lodging guests. We're excited to see you back here in Sunriver soon! Another happy 'cozy cabin customer'!! We're so glad, Mariah!! Please come back soon, we'll keep the place sunny and beautiful for you! Very clean cabin. Owners paid attention to every detail that could/would make a guest comfortable. Plan to rent again next year! We liked Cafe Sintra restaurant in Sunriver the best when dining out. Great location. Quiet and off the beaten path. Men's bike needs some repair work done. Still worked and had a great time regardless. Carl, we are glad you enjoyed your stay. And thank you for letting us know about the bike. We will get it fixed :) Hope to see you back next year! Clean and well stocked cabin for our multiple night stay. The open plan main floor was filled with natural light and the loft was spacious. Minutes from The Village by walking/biking path or car. A short distance from the river as well. This was my fourth stay at this cozy personal get-away. Perfect for one person's retreat, a couple, or a family of three. I would love to come back. I especially love the location - away from most hustle and bustle, close to the river, in the trees. Peaceful! Had a great time It was my 76 b/d the loft wascozy. We loved it. This cabin was adorable! My husband and I stayed here for our honeymoon. 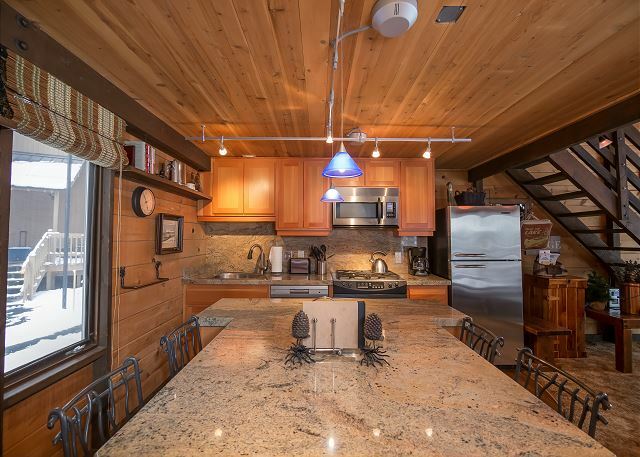 We absolutely loved the kitchen, everything was upgraded and for being a cozy cabin, the kitchen was very spacious and functional. The cabin was very clean and well maintained, we loved the rustic feel. The photos and description on your website were right on point and the rental process was very easy. We loved riding the bikes around the paths and to the shopping center to get coffee and walk around the shops. We also went into Sisters one morning and made a couple trips into Bend. We explored the Newberry Caldera park, checked out Tumalo Falls and made a day-trip down to Crater Lake. Overall, we had a wonderful trip. Congradulations! Here to many wonderful years! Come back and see us again, there are many more things for you to explore in Central Oregon. We had a great , relaxing stay with two dogs in this cabin! This was a perfect home for the week we had. The biking was great, the weather was great, Sunriver as a whole was great. We come back every year and would be happy in this home again. Nice! I was impressed by how well designed the Custer Cabins layout was. Every deck was perfectly oriented to have privacy from the rest of the cabins. Nicely done. The management was easy to work with, the house was clean and nice. This is not a very big unit so I wouldn't try to have more than 4 or 5 people in there. It would get crowded in the living room. I felt like I got exactly what I wanted. Glad to hear you enjoyed your stay. Hope to see you again soon! Came for Pacific Crest weekend, this is our second stay at the same cabin. Very nice layout, quiet, very enjoyable. Loved it. Peaceful, good local, nice little cabin. Hope you can come back and stay again soon! Very piecful and relaxing. I was very impressed with the cleanliness of the cabin. Looking forward to another visit soon.